Home / News / EHF / BOMB, BOMB, BOMBAČ: PICK Szeged beat Kielce! 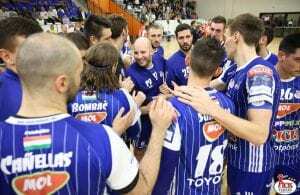 BOMB, BOMB, BOMBAČ: PICK Szeged beat Kielce! In their first Champions League match of the season, Pick Szeged took a victory over Vive Tauron Kielce 31:30. The teams began the game neck and neck. Kielce looked a little bit better leading by one or two goals but every time, mostly thanks to well-playing Bombac, Pick managed to equalize and finally took over the lead in 14. minute. Kielce lost a ball too many times and coach Duyshebaev decided to take a time out. 4 minutes later Jachlewski equalized at 8:8 but it wasn’t a sign of getting back on the lead. Pick stayed strong in defence and their rivals could hardly break through; as a result, the ball often ended up in hands of Pick’s players and the gap between teams started getting bigger – in 23. minute, the team from Szeged was ahead by 4 goals (13:9). But in the end of the first half, Zubai and then Blazevic were sent off the court for 2 minutes, Kielce reduced the gap to 1 goal two minutes before the half time but due to their own mistakes and Sierra between the goalposts, they left the court losing 14:17. Pick: Sierra, Wyszomirski – Ancsin 1, Balogh 1, Blazević, Bombac 11/3, Curuvija, Fekete, Dos Santos 4, Hegedus, Ilyes 2, Kallman 5, Mindegia Elizaga 2, Velky, Vranjes 4, Zubai 1. Vive: Szmal, Sego – Aquinagalde 6/2, Bielecki 2/1, Bis, Buntić 4, Cupić 2, Jachlewski 2, Jurecki 5, Lijewski 4, Reichman, Strlek 3, Tkaczyk, Vujović, Zorman 2. In the second half, Pick carried on with their good style, whereas Kielce still had their problems, especially in defence where from a certain moment of the match, Pick found wide open spots even playing shorthanded. In 38. minute the result was already 23:17. After this poor beginning, Kielce started catching up. In 59. minute Aginagalde scored a penalty throw at 31:29; Pick lost a ball in the attack and with 23 seconds to spare, Jachlewski made it 31:30 so a chance for one point appeared when Pick lost the ball once again. Kielce rushed to score but were fouled and with 2 seconds to go, Bielecki tried to hit the net but the ball was blocked and therefore 2 points go to Szeged. The top scorer for Pick Szeged was Dean Bombac with 11 goals; for Kielce it was Julen Aginagalde with 6 goals. ← Previous Story Veszprem part ways with Antonio Carlos Ortega! 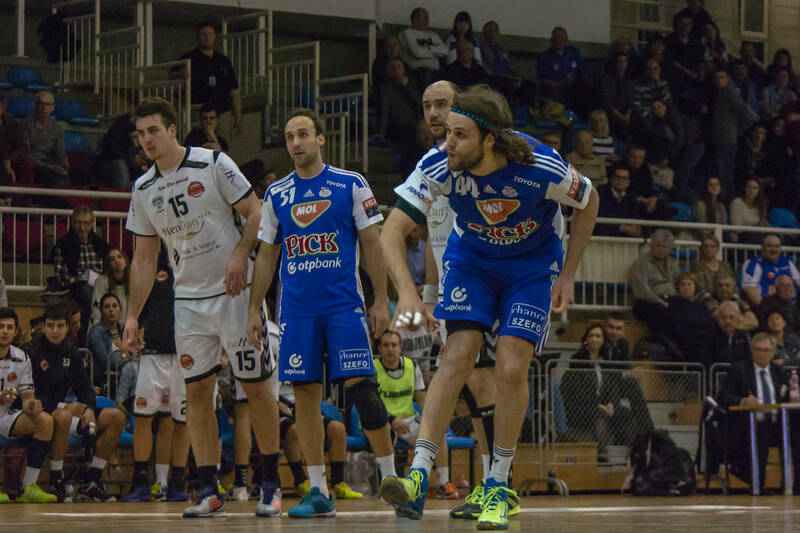 Pick Szeged win in Skjern to chase PSG Handball for the first place!